1. I now perceive one immense omission in my Psychology–the deepest principle of Human Nature is the CRAVING TO BE APPRECIATED, and I left it out altogether from the book, because I had never had it gratified until now. 2. Love is dead, or at any rate seems weak and shallow wherever science has taken possession. I am glad that, being incapable of anything like scholarship in any line, I still can take some pleasure from these pictures in the way of love; particularly glad since some years ago I thought that my care for pictures had faded away with youth. 3. With the lover it is the end which is fixed, the path may be modified indefinitely. 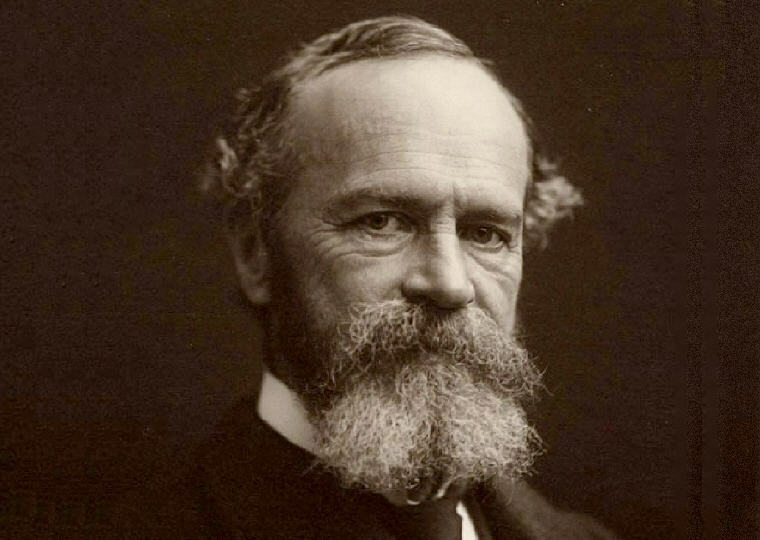 Excerpt from Wikipedia: William James (January 11, 1842 – August 26, 1910) was an American philosopher and psychologist who had trained as a physician. He was the first educator to offer a psychology course in the United States. 1. The art of being wise is the art of knowing what to overlook. 2. If you say that this is absurd, and that we cannot be in love with everyone at once, I merely point out to you that, as a matter of fact, certain persons do exist with an enormous capacity for friendship and for taking delight in other people’s lives; and ‘that such persons know more of truth than if their hearts were not so big. The vice of ordinary Jack and Jill affection is not its intensity, but its exclusions and its jealousies. Leave those out, and you see that the ideal I am holding up before you, however impracticable to-day, yet contains nothing intrinsically absurd. 3. First, you know, a new theory is attacked as absurd; then it is admitted to be true, but obvious and insignificant; finally it is seen to be so important that its adversaries claim that they themselves discovered it. 4. I look forward to a future when acts of war shall be formally outlawed as between civilized peoples. 5. Meanwhile take things gently. Look for the little good in each day as if life were to last a hundred years. Above all things, save yourself from bodily pain, if it can be done. You’ve had too much of that. 6. If you only care enough for a result, you will almost certainly attain it. If you wish to be rich, you will be rich; if you wish to be learned, you will be learned; if you wish to be good, you will be good. Only you must, then, really wish these things, and wish them with exclusiveness, and not wish at the same time a hundred other incompatible things just as strongly. 7. We are proud of a human nature that could be so passionately extreme, but we shrink from advising others to follow the example. 8. There is no worse lie than a truth misunderstood by those who hear it. 9. If things are ever to move upward, some one must take the first step, and assume the risk of it. 10. An unlearned carpenter of my acquaintance once said in my hearing: “There is very little difference between one man and another; but what little there is, is very important.” This distinction seems to me to go to the root of the matter. 11. There is but one unconditional commandment, which is that we should seek incessantly, with fear and trembling, so to vote and to act as to bring about the very largest total universe of good which we can see. 12. Let any one try, I will not say to arrest, but to notice or attend to, the present moment of time. One of the most baffling experiences occurs. Where is it, this present? It has melted in our grasp, fled ere we could touch it, gone in the instant of becoming. 13. New habits can be launched, I have expressly said, on condition of there being new stimuli and new excitements. #14 Is Life Worth Living? 14. Be not afraid of life. Believe that life is worth living, and your belief will help create the fact. 15. There are then cases where faith creates its own verification. Believe, and you shall be right, for you shall save yourself; doubt, and you shall again be right, for you shall perish. The only difference is that to believe is greatly to your advantage. 16. Faith means belief in something concerning which doubt is still theoretically possible; and as the test of belief is willingness to act, one may say that faith is the readiness to act in a cause the prosperous issue of which is not certified to us in advance. 17. Have confidence, even when you seem to yourself to be making no progress, that, if you but go on in your own uninteresting way, they must bloom out in their good time. 18. We long for sympathy, for a purely personal communication, first with the soul of the world, and then with the soul of our fellows. And happy are they who think, or know, that they have got them! 19. Most people live, whether physically, intellectually or morally, in a very restricted circle of their potential being. They make use of a very small portion of their possible consciousness, and of their soul’s resources in general, much like a man who, out of his whole bodily organism, should get into a habit of using and moving only his little finger. Great emergencies and crises show us how much greater our vital resources are than we had supposed. 21. The most any one can do is to confess as candidly as he can the grounds for the faith that is in him, and leave his example to work on others as it may. 22. We are spinning our own fates, good or evil, and never to be undone. Every smallest stroke of virtue or of vice leaves its never so little scar. 23. The hell to be endured hereafter, of which theology tells, is no worse than the hell we make for ourselves in this world by habitually fashioning our characters in the wrong way. 24. There is no more miserable human being than one in whom nothing is habitual but indecision. 26. How to gain, how to keep, how to recover happiness, is in fact for most men at all times the secret motive of all they do, and of all they are willing to endure. 27. We are all ready to be savage in some cause. The difference between a good man and a bad one is the choice of the cause. 28. Tell him to live by yes and no — yes to everything good, no to everything bad. 29. The great world, the background, in all of us, is the world of our beliefs. That is the world of the permanencies and immensities. 1. Whenever you’re in conflict with someone, there is one factor that can make the difference between damaging your relationship and deepening it. That factor is attitude. 2. If you believe that feeling bad or worrying long enough will change a past or future event, then you are residing on another planet with a different reality system. 3. The great use of life is to spend it for something that will outlast it. 4. Act as if what you do makes a difference. It does.